Our highly competent staff are not only professional, but kind, helpful, and concerned for your well-being. They readily listen and respond to your concerns, while answering any questions ranging from your dental health to maximizing your insurance coverage so we can best serve you. Diane has been with us for almost 30 years, first as Dr. Vickers’ chair side assistant and then as time progressed, she moved to desk, insurance, and computer duties. 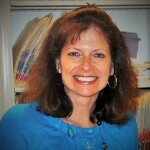 Her easy smile and “gift of gab” ensure patients that someone is looking out for them when they are in our care. Due to her myriad of positions in the office, Diane is very willing and adept at multi-tasking for the good of the team. Jill, a loyal employee since 1996, knows the ins and outs of most every aspect of our practice and our treasured patients. She makes every attempt humanly possible to accommodate our patients and clinicians in her never-ending desire to make our patients comfortable, informed, and happy with their appointment time and treatment. Jill is extremely competent at explaining course of treatment and she makes every attempt to assist the patient in maximizing their insurance coverage, while informing them of their responsibilities. 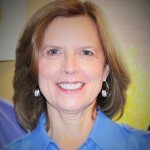 Betty has been on our team since 2001 and has been practicing dental hygiene for over 20 years. She graduated from the University of Rhode Island with a Bachelor’s of Science Degree in 1980. Betty’s fast smile and ease of conversation, along with her clinical excellence, make her a most valued member of our team. Joy graduated in 2003 from Orange County Community College and has been with us for over 10 years. Having graduated and entered into a fast paced dental office environment, Joy has excelled in her ability to hone her craft and reveal her desire to treat every patient as an individual, crafting their time with her specific to their individual needs. Agnes graduated from the New York City College of Technology in 2006 and has been practicing dental hygiene for 8 years and enhancing our practice for 6 years. Agnes’s background of diversity in education and dedication to her profession has helped to bring the high level of care she delivers to each of our patients. A welcome member of the team, Agnes is also able to communicate with many diverse groups of individuals, as her skill of multiple languages no doubt comes in very handy! 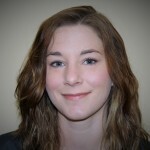 Kimberlee graduated from the Dental Assisting School of Rockland in April of 2009. We were lucky enough to become her first dental employers and she has been here for five years. 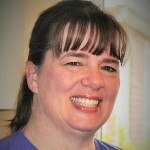 Kimberlee maintains her CPR Certification and attends continuing education within the office, whether for technological advances on the computer or for new advances in the dental field. 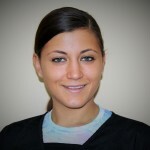 Her work ethic and demeanor with our patients is a true asset to the practice. 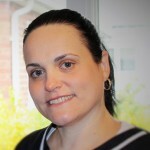 Louise graduated from the Dental Assisting School of Rockland (Nov. 2011) and began working with Drs. Vickers and Walls. Initially a chairside assistant for Dr. 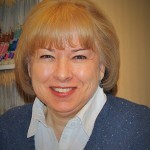 Walls, Louise quickly revealed her versatility and prowess for many facets in the dental office and thus was quick to master the software we use here in order to assist in insurance claims, billing and other many other facets in the office. Now a part-time employee, she is still valued for her expertise and constant motion!